Recently, I got some great stuff from an exciting cosmetic brand NELFusa. The brand creates wide range of quality makeup products at approachable prices. 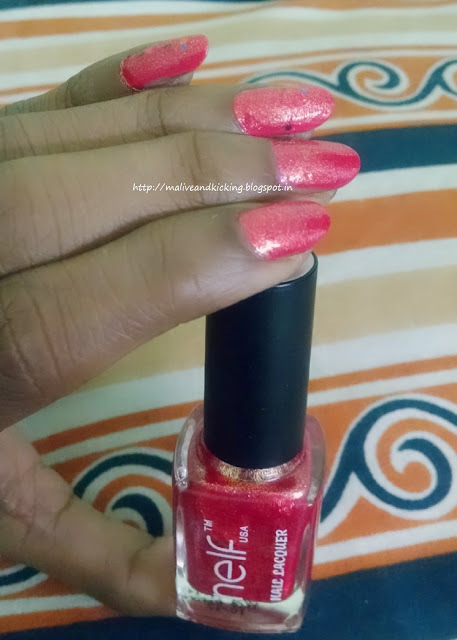 Today I am reviewing the nail enamels from the brand in two pretty shades. NELF Cosmetics, named after the aspiration of women to look great in four leagues i.e. NAIL, EYE, LIPS & FACE, uniquely offers a permanent collection of every day basics and on-trend shades. Known for rich pigments and high payoff in products is what places NELF in its own panache and distinguishes the line as a leader in the colossal color cosmetics industry. NELFusa™ has become the fastest growing cosmetic company in INDIA. The ultramodern and stylish packaging fused with the huge selection of highly pigmented colors continues to catch the eyes of every striving beauty. 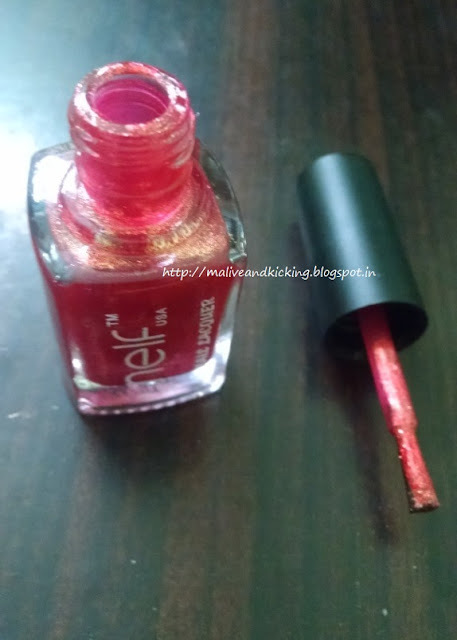 NELF Cosmetics offers luxurious nail enamels in beautiful shades that will resist any daytime or night time drama. You can fashion up your nails and treat yourself to instant glamour with Nelf’s Nail Enamels. Be glamorous and beautiful with these glossy, high-shine lasting finish. Both the nail enamels come in similar square glass bottle with black cap. The shade number is precisely labeled on the top of the cap with shade name. At the bottom of the bottle, you may find product's shelf life which is 3 yrs. The entire range of nail enamels is priced at just Rs. 99 each for 9.5 ml with more than 30 gorgeous shades available at present. 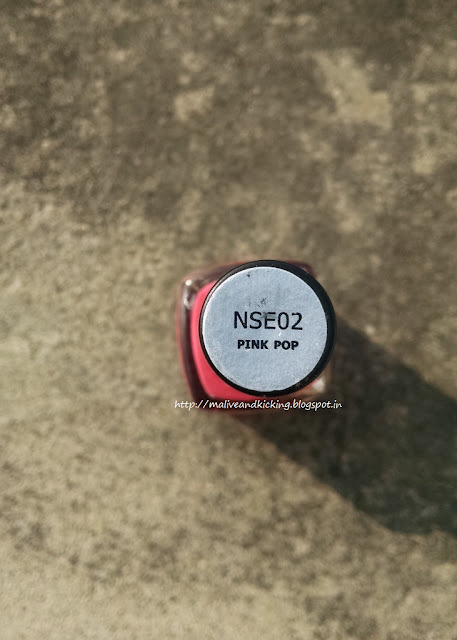 I received two of the shades on NELF's nail enamels in shade NSE02 Pink Pop and NSE12 Sparkling Rose. 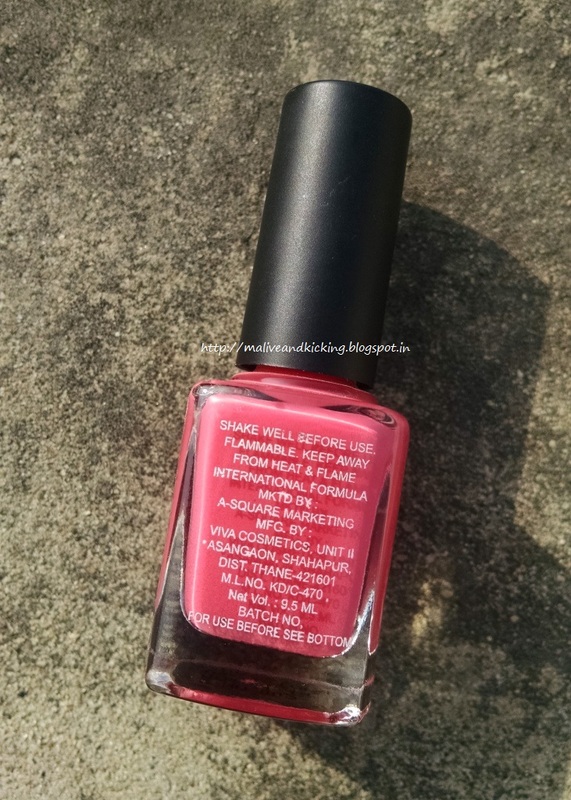 So talking about both in this post today..
NSE02 Pink Pop is a soft pink shade with a coral tinge into it. In a single coat with its decent sized brush, I get pretty good coverage. The texture of the nail enamel is easy to spread smoothly as I glide the brush on nails, though takes little time to dry up. Just like most of my nail enamels, I swatched it two coats to get the premium finish in its real color and whoa I loved my nails ;) Remember to let the first coat dry properly before you apply the second coat for a rich finish. Pink Pop is an appropriate shade for regular day-to-day application if you are not in a habit of changing your nail paint every now and then. 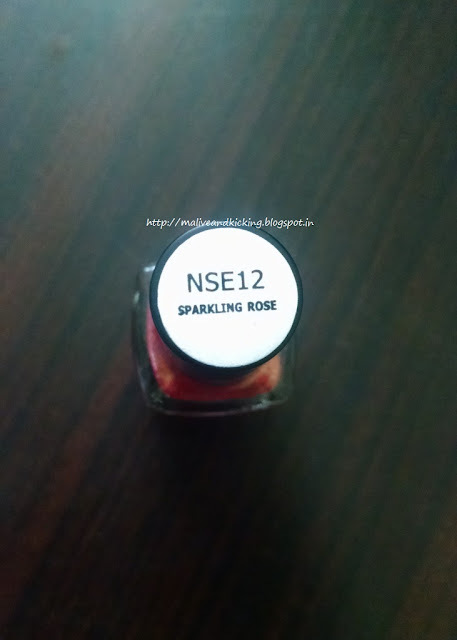 NSE12 Sparkling Rose is a shade that can perk up your party look instantly. Its a brilliant scarlet shade somewhere between red and orange. 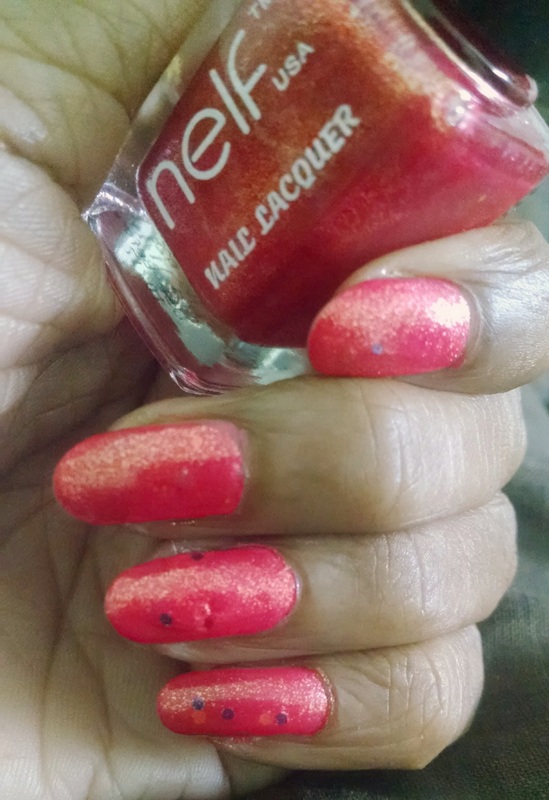 And the glittery bronze particles in the nail paint makes it a passionate party color. I found it quicker to dry up than the Pink Pop shade (though not measured exact time) ;) The rich payoff made me fall in love with the shade truly. The super smooth and glossy finish without any bumps while application is pretty admirable. Sparkling Rose is a glam alternate to regular red/maroon nail colors and can be worn without worrying of getting it in sync with your outfit color unlike yellows, greens. I would also give the nail enamels a plus for non-chipping formula that lasted as good as new for 4-5 days, after which minor chip off on the edges needs to be given retouching. 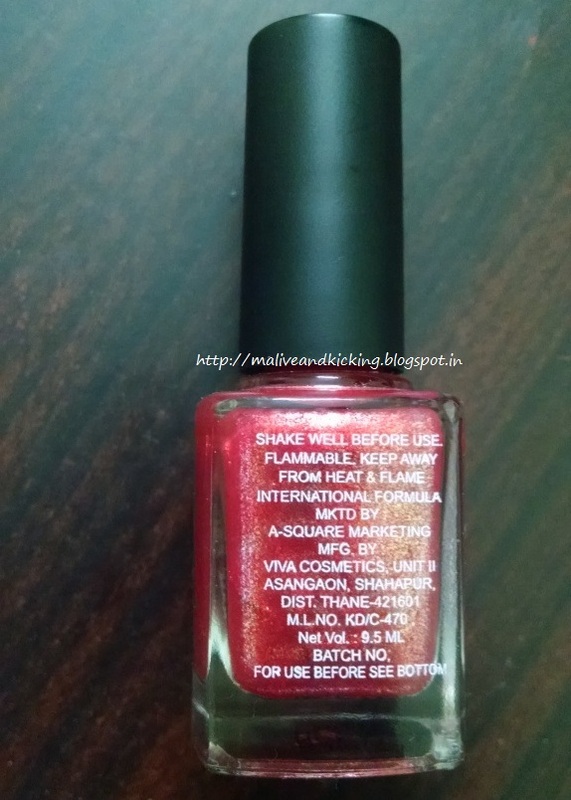 The brand recommends starting with the base coat and end with top coat over the nail enamels to make it last longer, but I haven't used any of those to find the actual durability being my first experience with the products. The staying power of 4-5 days is pretty ok for me while I do all my household chores myself. Wide range of trendy colors. Chip resistant upto 5 days. Love the slight shimmer and color change under light. Nice review! This is a pretty pink shade. Would have loved it without the glitter though. cosmetics are also a matter of individual choices. Thanks Ruchika. I too liked this nailcolor very much.